In August 2017, a combination antibacterial therapy under the market name vabomere was approved for treatment of adult patients with complicated urinary tract infections (cUTI). 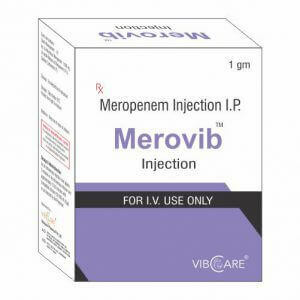 Vabomere consists of meropenem and [DB12107] and is intravenously admininstered. The treatment aims to resolve infection-related symptoms and achieve negative urine culture, where the infections are proven or strongly suspected to be caused by susceptible bacteria.